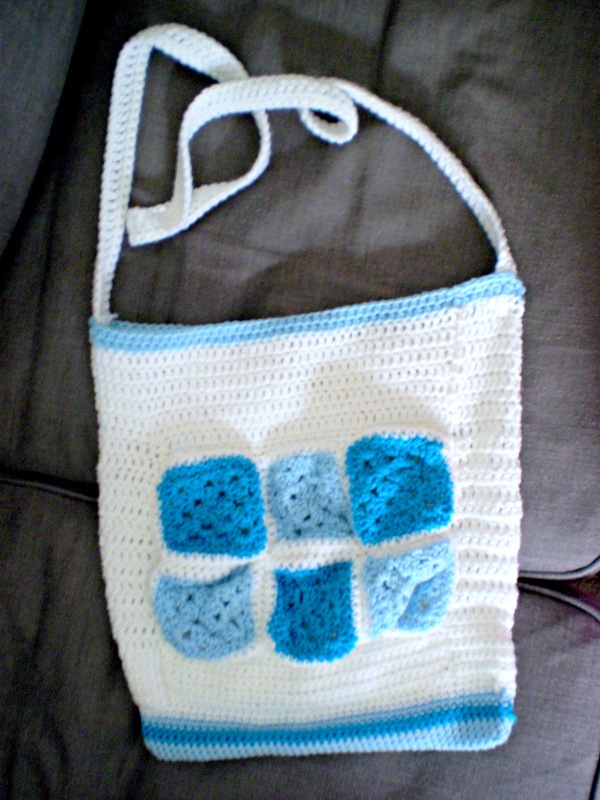 This is my first ever crochet bag!!! 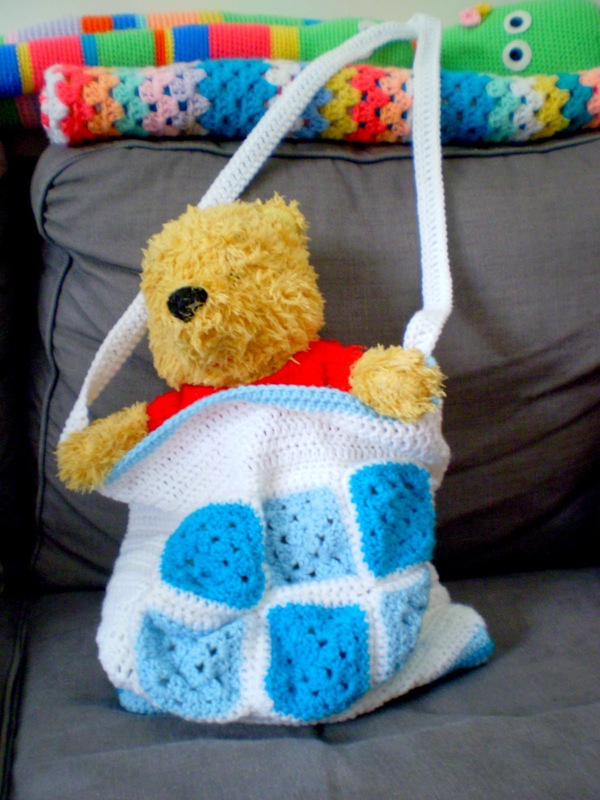 I had a few simple granny squares that i didn't know how to use and i decided to crochet them together and make a tote bag. 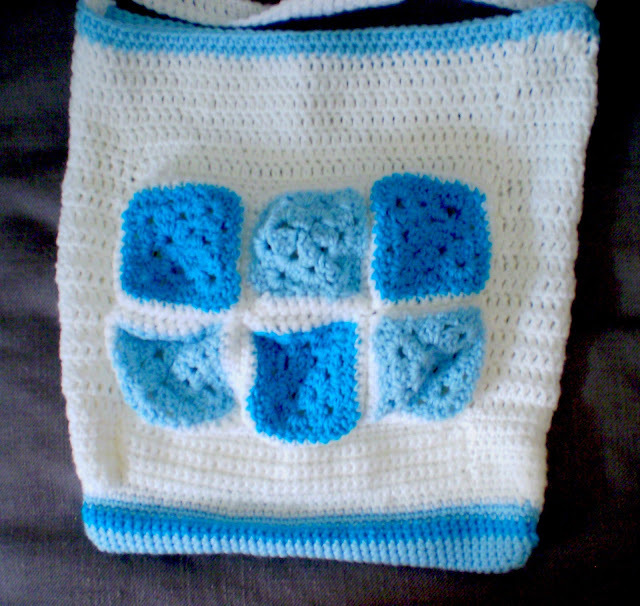 It was very easy to make and i only used three different colours of yarn. 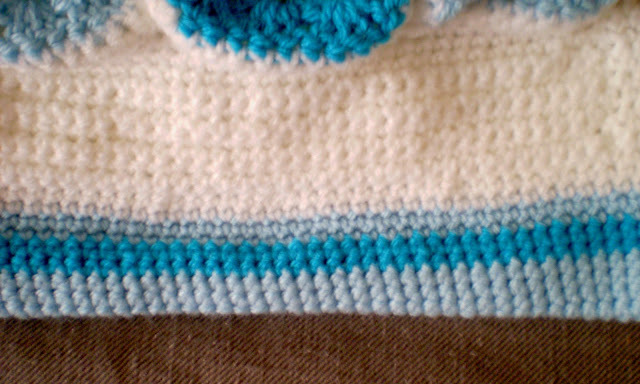 The bottom lines are made with single crochet stitches and the rest of the bag with double crochet stitches. 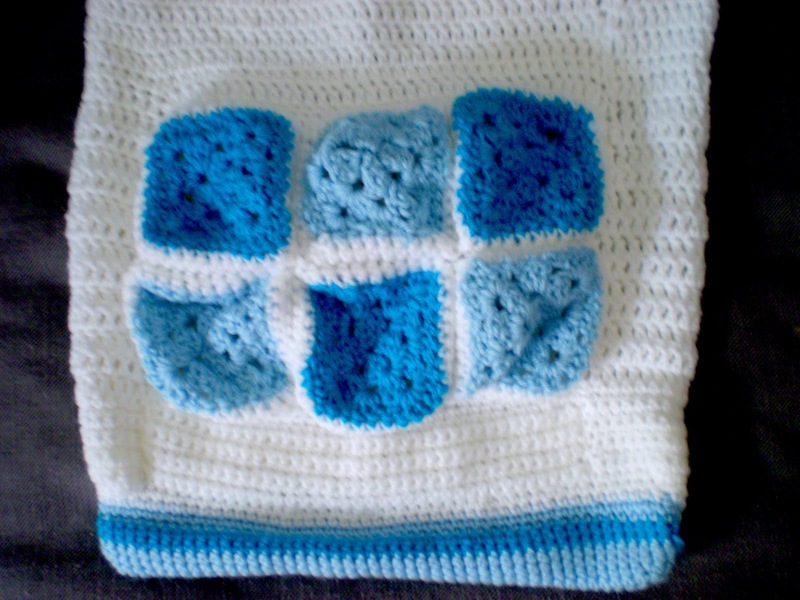 The granny squares were pretty easy to make to, i will post a link to the tutorial as soon as i find it !!! (if i don't find it i will write it down for you!). Its really a summer bag, i cant see myself using it now cause most of my winter clothes are grey and black but im already thinking of making a winter version of it...a bit bigger and with darker colours. 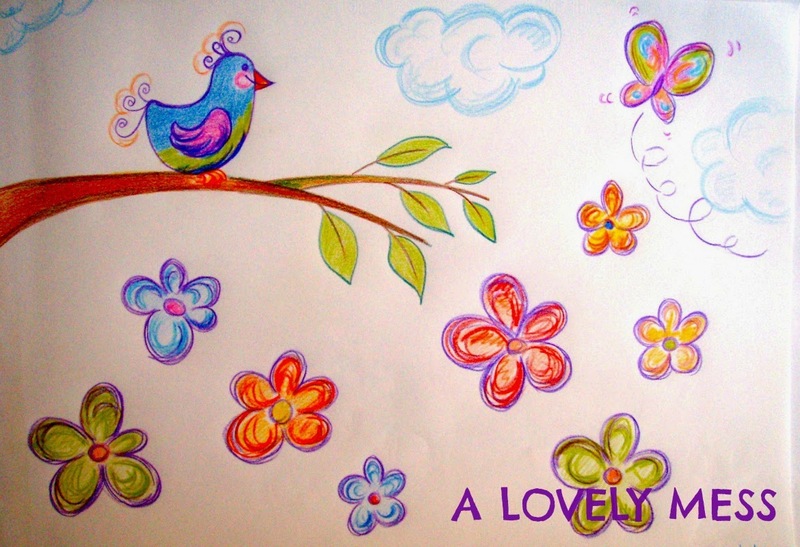 L O V E L Y! !